Legal experts say process should provide certainty, not worry, for developers. The EPA has used its 404(c) veto power 13 times since the Clean Water Act was passed in 1972.Click here for image pdf. 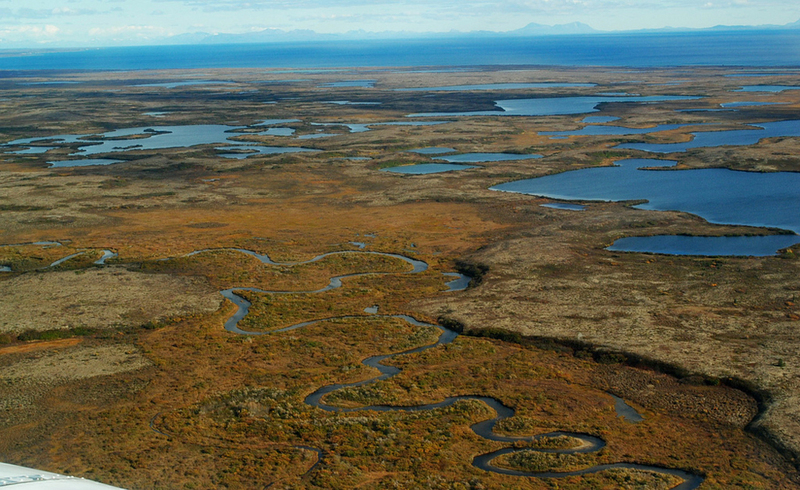 Restrictions proposed by the U.S. Environmental Protection Agency this month would ban the development of the proposed Pebble Mine in the headwaters of Alaska’s Bristol Bay Watershed. Moving to protect the world’s largest wild sockeye salmon fishery, the agency took the second step in a rarely used process under the Clean Water Act that gives the EPA authority to veto permits for development projects. 1. The loss of eight or more linear kilometers (five miles) of streams with documented salmon occurrence. 2. The loss of 30.5 or more linear kilometers (19 miles) of streams that are tributaries of streams with documented salmon occurrence. 3. The loss of 445 or more hectares (1,100 acres) of wetlands, lakes, and ponds associated with salmon streams. 4. Streamflow alterations greater than 20 percent of daily flow in 14.5 or more linear kilometers (nine miles) of streams with documented salmon occurrence. The proposal is the second step in the controversial 404 (c) process that the EPA initiated in February, after completion of a three-year scientific study on the effects of mining the Pebble deposit in the Bristol Bay Watershed. In accordance with the statute, the restrictions must undergo a public comment period, as well as a period of consultation with the U.S. Army Corps of Engineers and the project developers, before they can be finalized by the EPA administrator. The restrictions come in response to plans by Vancouver-based Northern Dynasty Minerals to construct and operate a large open-pit copper mine at the Pebble site. Though Northern Dynasty has not filed a mine plan or permit application with the Corps of Engineers in the 11 years it has been pursuing the Pebble project, plans that it filed with the Securities and Exchange Commission in 2011 outlined a 1.8 to 5.8 billion metric ton mine — one of the largest of its kind in the world. Rivers and wetlands in the Bristol Bay area support one of the largest wild salmon fisheries in the world.Click image to enlarge. 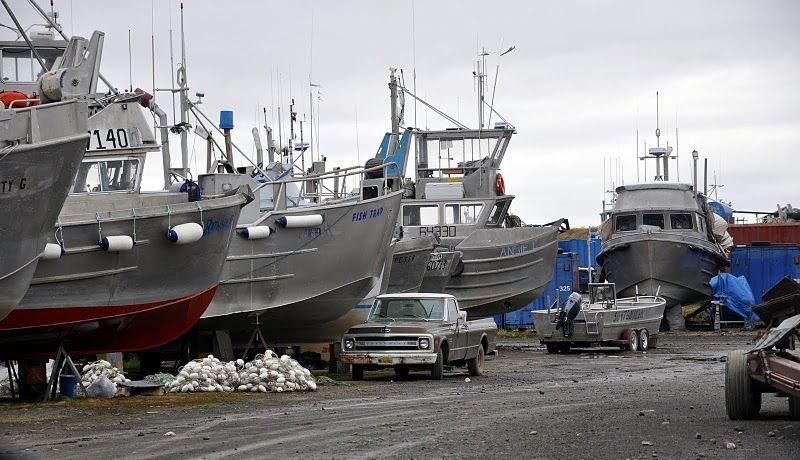 The mine has faced stiff opposition from environmental groups, Native American tribes, and local communities because of the damage it could cause to wild salmon fisheries in the pristine Bristol Bay Watershed. The EPA’s restrictions, if approved, would stop development of a mine that is just one-eighth the size of the smallest mine that is proposed by Northern Dynasty. However, they are not an outright veto of mining in the Pebble deposit and would not necessarily preclude a smaller mine or a mine designed to avoid the outlined damages. “[The restrictions] don’t have any regulatory effect anywhere else in Alaska or anywhere else in the country,” he added. Northern Dynasty, the affiliated Pebble Partnership, and the state of Alaska filed a lawsuit in April in federal court alleging that the EPA is overstepping its authority by proposing restrictions before concrete plans and environmental impact statements for the mine have even been filed. They argue that the EPA’s action will set a precedent for future mine vetoes and impede development in the state. “The Administrator is authorized to prohibit the specification (including the withdrawal of specification) of any defined area as a disposal site, and he is authorized to deny or restrict the use of any defined area for specification (including the withdrawal of specification) as a disposal site, whenever he determines, after notice and opportunity for public hearings, that the discharge of such materials into such area will have an unacceptable adverse effect on municipal water supplies, shellfish beds and fishery areas (including spawning and breeding areas), wildlife, or recreational areas. The EPA has initiated the 404(c) process just two times before a permit application has been filed with the Corps of Engineers. Moreover, the agency was sued and criticized the last time that it used 404(c) — for West Virginia’s Spruce Mine — because it issued a veto late in the process, after a permit had already been granted by the Corps. Speaking at a press conference, the EPA’s McLerran said that the agency has decided to act now in order to alleviate the uncertainty that the Bristol Bay community has faced for the past 11 years. Further, if the EPA’s proposed restrictions for the Pebble deposit are approved, they will not stop Northern Dynasty from submitting a permit application, and this process could serve as a useful guide. Both Doremus and Bill Andreen, professor at The University of Alabama School of Law and a former counsel to the EPA, said that, judging by the EPA’s track record, the agency is not likely to start issuing a flood of vetoes on development projects. Protecting salmon fisheries, and the associated fishing industry, is the primary motivation given for EPA’s use of the 404(c) process in the Bristol Bay Watershed.Click image to enlarge. The EPA’s authority to restrict or veto permits for the disposal of waste material into lakes, wetlands, and streams is explicitly laid out in the Clean Water Act, and its use of the section 404 (c) process for the Pebble deposit is in line with its previous actions under the clause, according to legal experts. In its 42-year history, a veto has been issued just 13 times under section 404(c). Vetoes have been used to stop projects ranging from shopping malls to aquaculture facilities, and they have been issued under administrations from both political parties. Only the most recent action—regarding the expansion of a mountaintop-removal mine in West Virginia in 2011 — dealt with extractive industries. The power serves as an outside check on the Army Corps of Engineers, which is charged with issuing permits for the disposal of fill material — such as dirt and rock — into U.S. waterways, Andreen said. The EPA’s restrictions on the Pebble development are not final, and could face changes or be scrapped altogether. The public comment period on the proposed determination ends September 19. The EPA also faces separate investigations by the inspector general and the House Oversight and Government Reform committee regarding its scientific assessment of the Bristol Bay Watershed. Bills aimed at limiting the EPA’s veto authority have been introduced in both the House and the Senate. Proponents of the veto, however, say that the agency is fulfilling its responsibility under the Clean Water Act to protect exceptional natural resources.